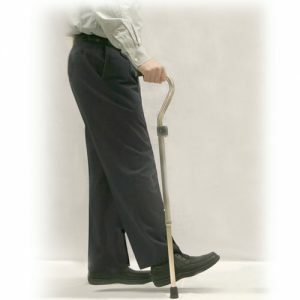 The LaserCane is a lightweight adjustable walking stick which projects a bright green line across your path. PLEASE NOTE: The laser is most effective indoors – outdoors, especially on bright or sunny days, the laser can be difficult to see. 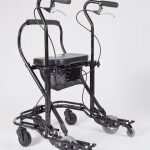 It is specifically designed to help people with gait freezing or gait ignition failure such as occurs in Parkinson’s Disease and other Parkinsonian conditions. 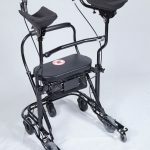 The LaserCane is perfect if you need minor walking support, help with gait freezing and help to increase your stride length. Thousands of people have already benefited from our laser technology and our products are backed by our two week no-quibble money back guarantee and a 12 month warranty. The LaserCane is made and designed in the USA.